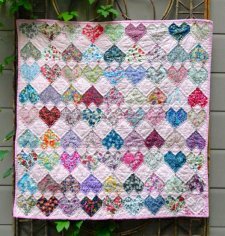 "When I recently showed off my Head Over Heels quilt you asked for a tutorial and I finally got around to writing something up. This is not so much a tutorial as a how I did it. 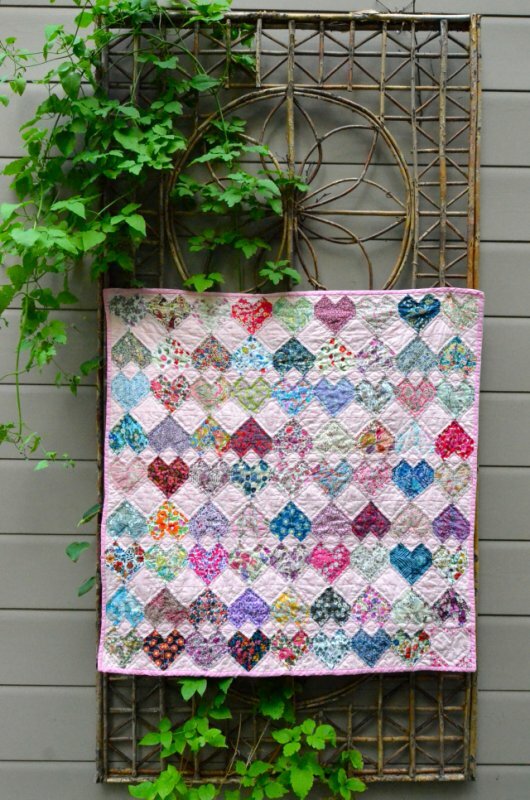 "Head Over Heels in Love - That is what I’m calling my newest quilt. Perfectly fitting, not just for the quilt, but for the overwhelming feelings I am having right now. 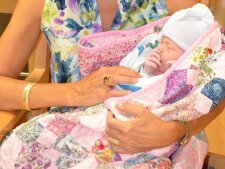 Introducing our newest grand-daughter, born just this week. Kanga Roos now has a legitimate name. Amelia Jean, 7 pounds 5 oz, 20 1/2″ long and quite the snuggly bunny!"